Perfect low carb guiltless cinnamon rolls. The outside crisps up but stays perfectly gooey on the inside! First, slice the bread into 3 long strips. Flatten and stretch it as much as you can. Gently! Mix 2 TBSP of the sugar free syrup with the cinnamon and spread this along the top of the strips. Roll each strip up and put a toothpick through them. Place them on a sprayed baking sheet at bake at 350F for 6-8 mins (until lightly browned). Remove the toothpick from each cinnamon roll. Make the protein glaze by mixing 1 TBSP vanilla whey protein, 1 TBSP sugar free syrup, and 1 TBSP unsweetened almond milk. 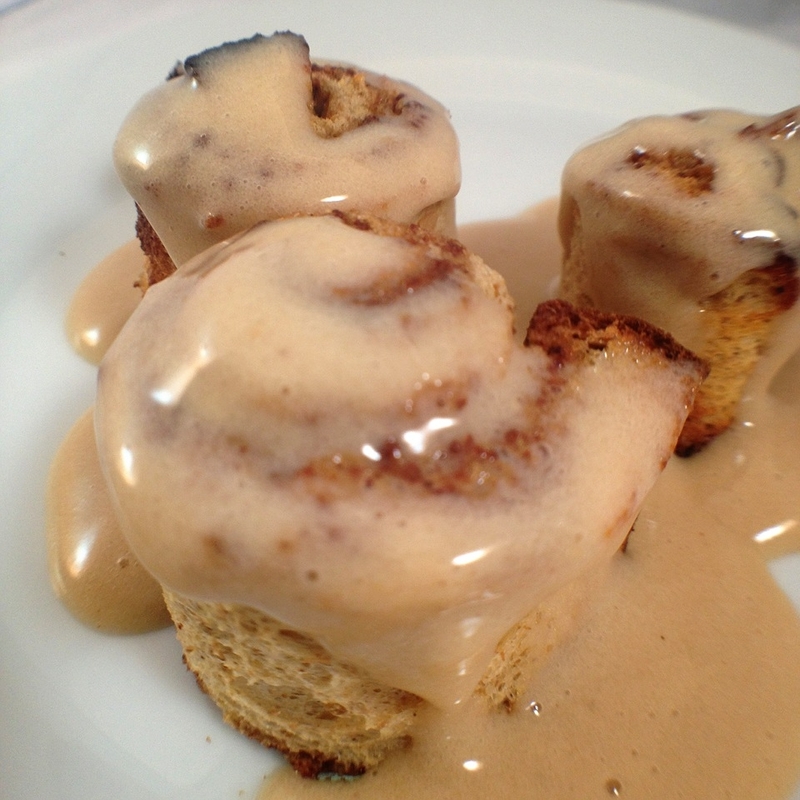 Drizzle on top of your cinnamon rolls and enjoy!